The United States has knocked Japan off the top spot to become the new world number one in men’s baseball. 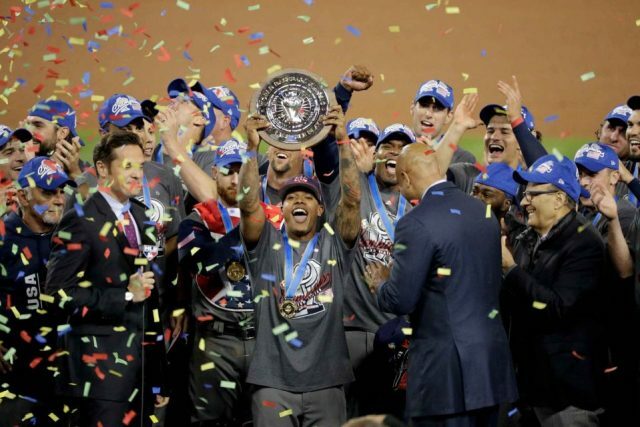 The Americans had been at number two on the World Baseball Softball Confederation (WBSC) list for three years. A superb 2017 has seen them climb to the summit, with professional and age-group WBSC events all counting towards ranking points. The US won the World Baseball Classic last year as well as World Cups for Under-18s and Under-12s. It helped them amass a record-high 2,127 annual ranking points for the year with their total now reading 5,025. Japan have slipped to second on 4,609 with points won during 2014 now chalked off. South Korea remain third on 4,158 with Cuba climbing from fifth to fourth on 3,152. Mexico have also moved up a place to fifth and have 2,613, with Chinese Taipei dropping two places to sixth on 2,520. The top 12 teams at the end of this year will qualify for the 2019 WBSC Premier12, which will offer qualification spots for the Tokyo 2020 Olympic Games. “This is a very exciting and critical time leading up to the WBSC Premier12 2019 and Tokyo 2020 Games,” said WBSC President Riccardo Fraccari. The biggest ranking events in 2018 are the Under-15 World Cup in Panama in August and the Under-23 World Cup in Nicaragua in October. Belarus were the biggest climbers in the new rankings, rising seven spots to 39th.